Lace has added a precious finishing touch to clothing and decorative items for centuries. A nineteenth century bridal gown was designed with an abundance of lace as white lace came to be known as a symbol of purity. Lace as used not only in the veil but in the dress itself: in abundance on the skirt but also on the sleeves, neck and petticoats. 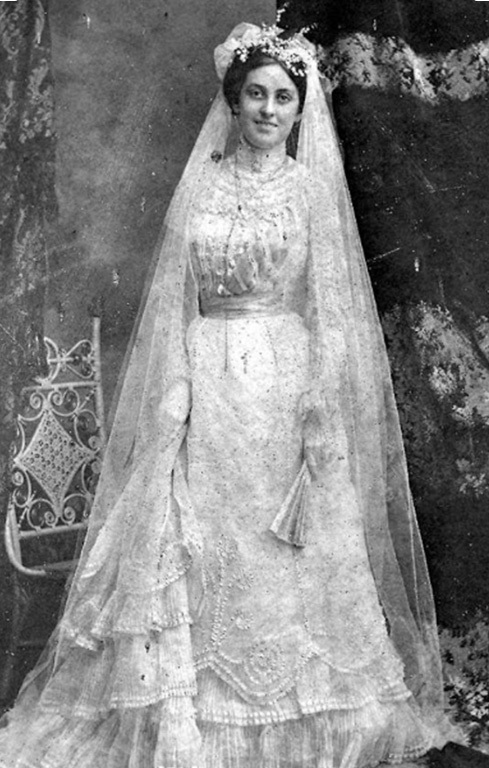 Her bridal gown became a dowry; it was a collection of lace that could be removed and re-used on her dresses in the future, throughout her entire life.